This shipment was not just over width, but it was also over length and over height at 43’ long and 13’6” high. 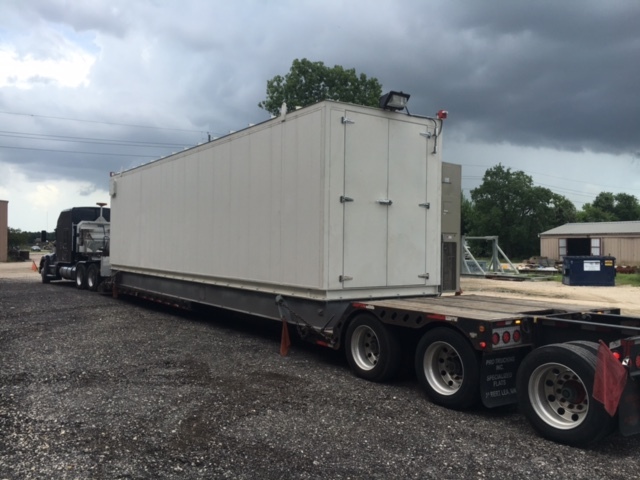 It required an RGN trailer to be able to move it, and needed both permits and escorts. The cargo was worth a whopping $650,000! It left Texas and made it to Oklahoma successfully! Another great job by our Logistics group!